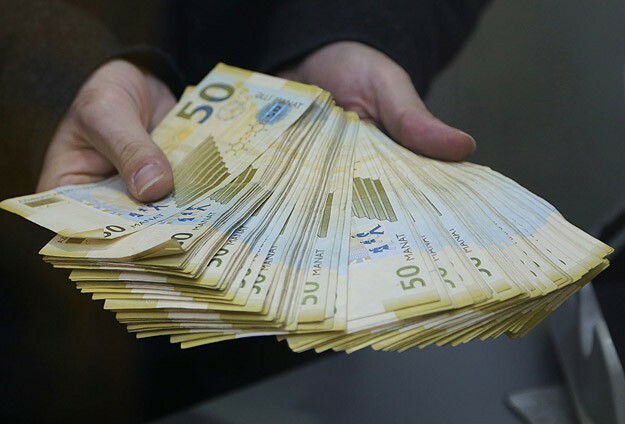 Incomes of the Azerbaijani population will increase by 9 percent, thus reaching 54.4 billion manats ($ 32.1 billion) in 2019. This was stated by Deputy Minister of Labour and Social Protection of the Population Idris Isayev at a meeting of the Parliamentary Committee on Labor and Social Policy. "Average monthly salary in Azerbaijan will increase by 5.7 percent next year to 642 manats ($ 377). Inflation is expected to be 3.8 percent in 2019. The number of pensioners will make 1.294 million. Of these, 58.3 percent will be pensioners due to age, 30.8 percent - disability and 10.9 percent - the loss of family head. The deputy minister told about the statistics on employed population in current year, said that the number of people employed in the first ten months was 1.540 million people, and 3.3 million were freelancers. Over the same period the revenues of the State Social Protection Fund amounted to 3.187 billion manats ($ 1.875 billion), indicating an increase of 9.7 percent compared to the same period of 2017. He emphasized that demographic indicators in the country are positive, as the young population makes majority with 71 percent being in the age of 15-64. The population over the age of 65 will amount to 6.3 percent next year. He also told about the importance of the able-bodied population as this is the working population. The greater the number of employed population, the stronger the financial sustainability of the pension system, Isayev added. The following year, the working population is expected to reach 5 million. Overall, next year the population's income will increase by 9 percent to reach 54.4 billion manats ($ 32.1 billion). This is a positive indicator. It should be noted that in the previous report, the nominal income of the Azerbaijani population over the first nine months of 2018 was 39.69 billion manats ($ 23.34 billion) showing an increase of 9.5 percent compared to 2017. Average income per capita was 4,046 (2,380) manats for the indicated period.